Well as you may have noticed yesterday I am back. I have started to build my life back up again after everything that has happened over the past month or so and am excited about what the future may hold, although I know at times it is going to be far from easy I know I will have a lot of help from someone very special in my heart : ). The funeral was lovely and I know my Grandad would have been really proud with what we arranged (well mainly my Mum and my Nan, they did a great job), I went and saw him before the funeral and was pleased to see how peaceful he looked after so much suffering. It still feels weird and as though it hasn’t happened but it takes time, I know that. I read out a poem during the service, it is strange, I hate talking to a crowd but I didn’t even think about this, I suppose it was the last thing on my mind at the time and it is the least I could have done for him. I would like to say a huge Thank you to everyone for all your support and kind messages over the past few weeks they really meant a lot. I took a week off work and returned back again last Monday to find this waiting for me on my desk. I know I have said it before but I really am so lucky to work with such a great team of people, I suppose in the role we have we find it easy to understand what people are going through, but that aside they really are such lovely people to work with. I feel like I have so much to tell you, I don’t really know where to start. The beginning may be a good place to start hey. Well I have made a couple of visits to the local charity shops and come across some brilliant bargains. Last weekend myself and James made a visit to the Guild of Essex Craftsmen Spring Fair located in Hylands House. I was a bit disappointed with it if I’m honest with you. I made a few purchases but nothing extravagant. I bought a pretty brush for baking that had patterns burnt into the wooden handle and a couple of gifts for friends but that was all really. Never mind, you don’t know these things unless you try. That’s all from me today folks, check back tomorrow to find out what else I have been getting up to these past couple of weeks. P.S. How lovely is this sunshine? It has been a glorious day in London today, just a shame I wasn’t able to be outside in it instead of being stuck inside an office looking at it out the window. Never mind, let’s hope we have plenty more of it to come. I’m back. I have really missed blogging, it is so amazing how quickly it can really become part of your life. Well I have plenty to tell you all so I will be catching up over the next few days with everything that has been going on. What better way to start off then giving you all some facts about me. Today I am taking the lead from Lissy Lou and completing the A – Z of me. 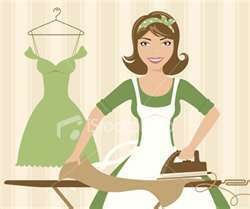 C. Chore you dislike: Ironing. I never iron any of my own things unless it is absolutely necessary, I hate it, don’t know why. D. Dogs: I don’t mind them but I much prefer cat’s. E. Essential start to your day: I don’t really have one. Could this be the reason why I find it so hard to get up of a morning???? F. Favourite colour: Baby pink (I know this isn't baby pink but it is the closest I could get). G. Gold or silver: Silver. But then again it does depend what we are talking about. I. Instruments you play(ed): None. I never seemed to have any interests as a child and then as I got older it just didn’t seem relevant, but to be honest there isn’t any instrument that interests me particularly. J. Job. I work for Macmillan Cancer Support but would rather not say what my role involves, hope you don’t mind. 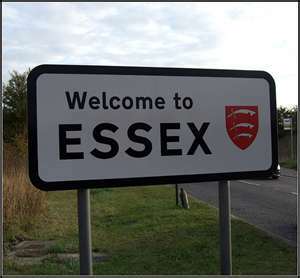 L. Live: Essex!!! Like Lissy Lou I am not a typical Essex girl thank goodness. O. Overnight hospital stays: I have been lucky and not had any as yet. P. Pet peeves: Bad manners, there is just no excuse for it. Q. Quote from a movie: You know what I actually can’t think of any, I am sure as soon as I post this I will be able to think of loads. Always the way hey. S. Siblings: One younger brother, I am lucky that we get on really well too. U. Underwear: I go for comfort and cool and pretty patterns haha that’s the child within me screaming to come out. 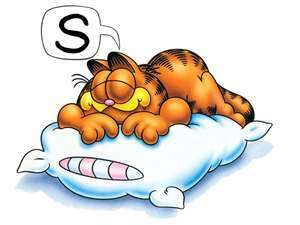 W. What makes you run late: Me, I am a natural faffer, I get sidetracked so easily, either that or I can’t get out of bed, I love my sleep. X. X-rays you’ve had: Lots of Dental X-Rays and a couple on my hand, one for an accident I had while playing basketball at school and the other when I was in primary school, I was running across the playground and split my hand open on something sharp, they wanted to make sure it wasn’t still stuck in my hand it was really nasty. Y. Yummy food you make: I am not the best cook, in fact I hardly ever cook, if I do I bake cakes or scones, they usually turn out pretty well. Z. 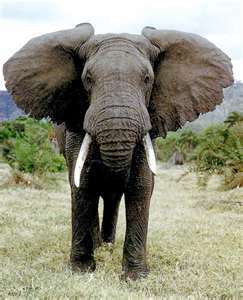 Zoo animal favourites: Elephants, they are amazing. Please feel free to join in. It is always good to learn a bit more about each other, and what better way then this. I could really get used to this weather, it is gorgeous, just a shame the sun isn’t shining as much as it was at the weekend, but temperature wise I shan’t complain. Hello March : ) and Happy St David's Day to you all. It's Tuesday which means it is time for Virtual Coffee. If I were really meeting you for coffee today I would tell you about what I got up to on Sunday. I know this was a couple of days ago now but as I haven't been up to anything exciting the past couple of day's it seemed to fit in quite nicely. We had so much rain on Saturday it really was miserable. Sunday morning appeared to be a bit brighter so we decided we would venture out for the day. Our first stop was a small town called Maldon. It is a beautiful little fishing town in Essex and I managed to get a couple of nice photos, just a shame that by this point the sun stopped shining and it became very overcast all of a sudden. We stopped off for a quick drink in one of the many pubs and watched the world go by from the window. We must of timed it just right as by the time we had walked back to the car park and sat in the car the first few drops of rain began to fall. This didn't stop us though, oh no. We moved on to Burnham On Crouch, had a short walk up the pretty much deserted High Street popped into a few shops then headed back to the car when it started to absolutely bucket it down. So that was my Sunday. What have you been up to the past few days? Thanks for joining me for coffee.